This 2 bedroom 2 bath condo has many upgrades and has been meticulously maintained. 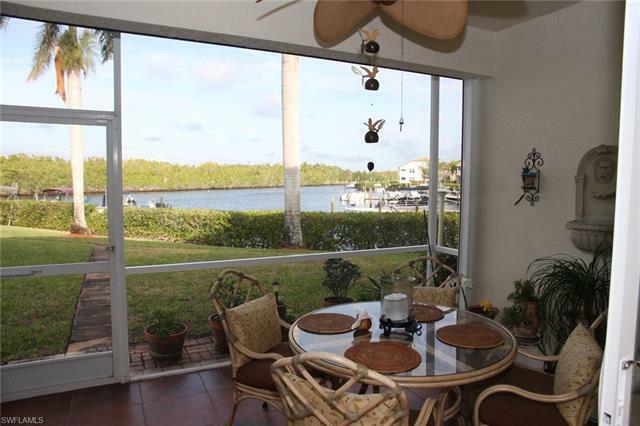 Located in the peace and quiet of Port of the Islands on the edge of the Florida Everglades. 2018 upgrades: New AC with transferable 10 year warranty. New Travertine Vinyl wood floors throughout. New Thermo low E impact windows in front. New lanai sliding doors with Thermo Low E impact glass. Bathrooms. remodeled and Lanai tiled in 2017. Metal hurricane shutters on lanai and master bedroom window. Kitchen has granite counters, two door refrigerator/freezer with water and ice dispenser, microwave, dishwasher and smooth-top self cleaning stove. A boat slip for up to a 24' boat at floating dock provides direct access to the Ten Thousand Islands and the Gulf of Mexico via a marked channel. Great fishing for snook, redfish, mangrove snapper, pompano, flounder, triple tail, sea trout, grouper and others. Port of the Islands has its own reverse-osmosis water treatment plant and Collier County Fire Station with fully trained EMS staff that usually respond to a call in under 3 minutes. 20 miles to downtown Naples and 15 miles to Marco Island or Collier Blvd restaurants, shopping, and attractions.